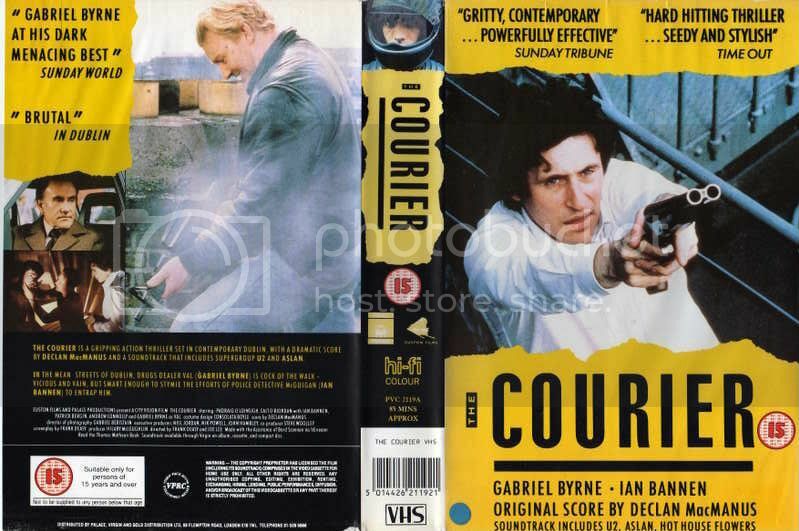 Elvis' music for the 1988 film The Courier is relatively easy to find . However, besides a cinema viewing at the time, I haven't seen the film since. It doesn't seem to be on DVD . Some second hand copies of the video are available on Amazon but I no longer have a video player. Has anyone transfered it to DVD? If not , if I get a video copy will someone here be willing to do the transfer? Have just received the VHS tape. For what must be a 20 year old ex-rental tape it seems to be in good physical nick. I'll hopefully play & transfer to DVD today or tomorrow, when I'll be able to report on the condition of the recording. Interestingly, it came with 2 different covers, which I've scanned & attached. BTW I've never seen the film, but I remember many years ago paying a 'disc finder' service a princely £20 for the CD. Only weeks later I discovered eBay and realised that this is prolly where my copy came from, at a serious mark up! The 'In Dublin' quote always got a laugh when seen in Irish video shops. In some contexts the word may be seen as referring to the films contents. In Dublin, however, it would have been seen as merely meaning the film was really, really bad. The quality seems pretty good, which can only mean that the tape was not rented out v. much. Couldn't motivate myself to pay any attention to it, but I did notice that Cait is a good screamer. She'd have made a good Assistant for Tom Baker's Dr Who. The disc will be winging it's way to me in the next few days. 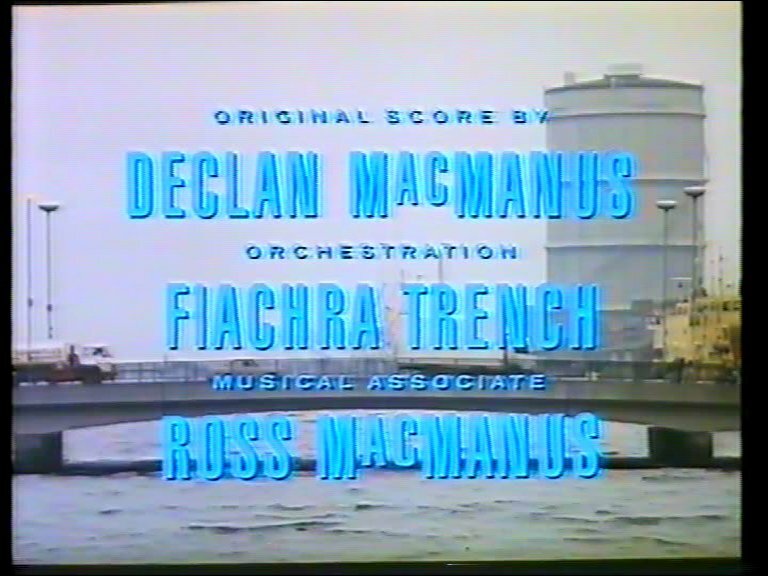 Watching this film I couldn't believe how grim and bleak Dublin in the 1980's looked. The fact that it's an accurate portrayal makes it all the more interesting. Otherwise it's a simplistic, hammy mess. Atrocious acting abounds. Elvis's music is used sparingly , most aptly 'Furinal Music ' in a , you guessed it, pub toilet scene. There is some sound drop out ( on the VHS copy ) but the more of the priceless dialogue we are spare the better. Cait does scream a lot, and very well. She also wears some classic '80s shoulder pads and seriously big hair. One bit part in the film is especially intriguing. It's 'Sara , Pregnant mother' played by one Anne Enright. Appearing in two scenes she looks familiar. Looking closer and the penny drops - it is , it's Anne Enright , the Booker Prize-winning Irish author. I was watching for Elvis in any crowd scenes ; he was not evident ,as far as I could see. If anyone wants a copy , PM me. A blank DVR will do as a trade. 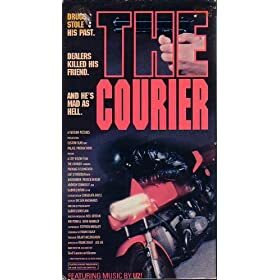 Here's a discussion about The Courier, as mentioned in the In Motion Pictures thread. More later!